Many people want to know how to strengthen their muscles but don't know how to go about the process. There are several ways you can go about this which will be explained in this guide. There are several benefits of stronger muscles the two main ones are the physical appearance and for health reasons. Strength training exercises along with muscle and strength supplements are going to be ideal to get the maximum amount of gains in the shortest time period. Strength training takes time and it won't happen overnight. You need to stay dedicated to the process as well and stick to a regular workout routine to see results. Dietary supplements for strength when combined with a diet and good exercise routine produce the best results for the vast majority of individuals. There are several main benefits for professional athletes, amateur bodybuilders, as well as regular people to gaining muscular strength. Most of us know that resistance training can help build and maintain muscle mass and strength. But in addition to this, numerous studies have shown that this training can play a role in slowing bone loss, and several show it can even build bone. Fewer Injuries - With stronger muscles, you're less likely to suffer injuries when doing day to day tasks such as lifting objects or just doing regular tasks. Your muscles go through a lot of work especially if you have a physical job and stronger muscles will allow you to perform better at the job with fewer sick days off due to muscle injuries like sprains or strains. Burn Body Fat - Muscles burn more body fat, so by having a muscular body you'll help yourself stay lean and trim. If you're overweight you can lose weight by taking up muscle strengthening exercises and this can help you stay trim later on. Reduce Muscle Wasting - As we get older we start to lose muscles which we refer to as Sarcopenia. This doesn't occur in our younger years but as we age it can accelerate. 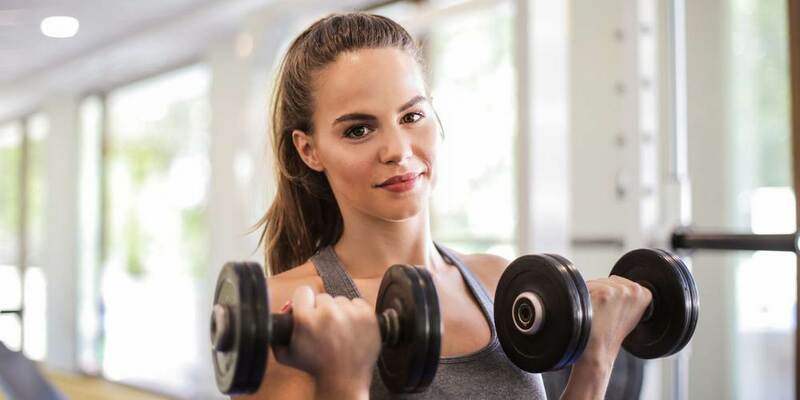 By lifting weights and gaining muscle mass you can reduce this condition to a great deal and help yourself stay trim and fit even in your later years. Strength training exercises are ideal for older individuals and even seniors. Physical Appearance - We all want a better physical appearance and strength training can help an individual achieve this. By lifting weights, you will define your muscles and this can improve the way you look as well as the way you feel. Athletics - Weight training is essential for anyone into athletics because it gives you the strength for the activity no matter what it is. You also gain endurance as well as flexibility in your joints. For anyone that wants to get into amateur bodybuilding or professional bodybuilding resistance training will become a big part of your life. General Health - You will have better health overall if you can a lower percentage of body fat. 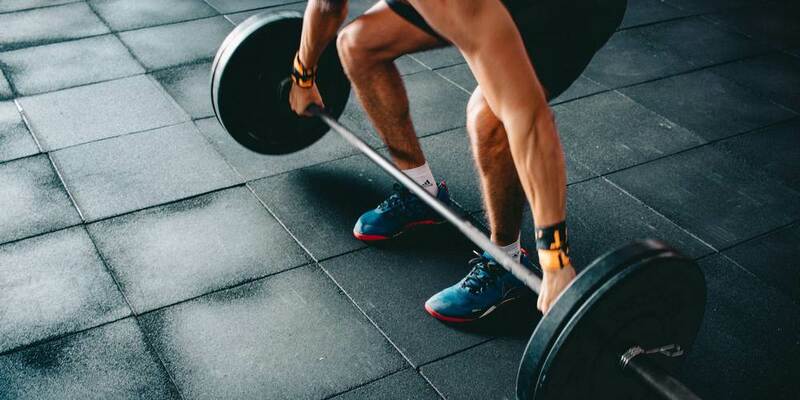 Weight training can reduce problem areas of fat accumulation such as around the midsection which is known to contribute to degenerative diseases such as heart disease, high blood pressure, and diabetes. How to Get Stronger Quickly? How to get stronger quickly? To gain muscle mass quickly you need several things going for you. The first thing you need to do is clean up your diet and eat foods high in protein. You should only eat whole foods (nothing processed) if you wish to build muscles and avoid anything processed. You will need to stick to a regular exercise routine and as you gain muscle mass, you will need to eat more to maintain new muscles and see new gains. You will also need a solid workout routine that you stick to on a regular basis. This needs to be performed on most days if the week with one or two full rest days. Many people will benefit from taking muscle and strength supplements as these can help you bulk up on muscle mass as well as reduce fat and aid in the recovery process from strenuous exercise. Some people take steroids but this is not recommended unless you speak to a medical professional as they have risk factors that you probably don't want. Never take these on your own without medical advice. Regular supplements for muscle growth are fine for you to take as well as you don't have any medical condition. Be sure to speak to your physician if you have medical problems before taking supplements to rule out any adverse effects from them as some could interfere with medications. "Resting your muscles is critical to gaining more muscle endurance as this is how they repair, rebuild and grow." There are several strength training exercises which we call “core” exercises as these are the main one you need for muscular strength and growth. There are hundreds of variations on these exercises but here are the main ones you should be doing. There are plenty of videos online which will show you the exact movements to perform these exercises the right way. The bench press is king for developing the chest area. This can be done with a bar or with regular dumbbells. You will start with low weight and then work your way up as you get stronger. This exercise targets the legs as well as the core and is essential for stronger legs. It's usually performed with other a machine or with a barbell. Many athlete's strength is measured by their ability to perform a good squat. This exercise targets the multitude of muscles in the shoulder area and is an essential exercise for that area of the body. There are many different shoulder presses you can perform by with machines or with regular weights. These exercises will target the larger muscles of the arms such as the bicep and triceps area. There are many types of curls and extension you can perform to develop great looking arms. The deadlift is one of the strength training exercises as it will target all areas of the body. In this exercise, you will lift very heavy weight and it's essential to target the core of the body. There are many different types of abdominal exercise like crunches, sit-ups, leg raises and so on which help define the abdominal area. You will need to lose fat around the midsection with diet before the abdominal muscles will show and once they do, further training will help define them. There are several exercises you can perform without weights such as chin-ups, leg raises, and push-ups which are also ideal for developing muscular strength. Cardio exercises will strengthen muscles to some extent but their main purpose is to help you burn fat. Exercises like running, cycling and swimming can be beneficial to help you burn fat so muscles are more defined. Your diet plays a huge role in how well your body develops and you will get nowhere without a good diet. It's critical that you eat just whole foods and avoid all processed foods as you need nutrition from whole foods to see muscular gains. Try to avoid all packaged foods for the most part unless the ingredient list is small. Fish provide essential fatty acids as well as good protein which helps muscles grow. 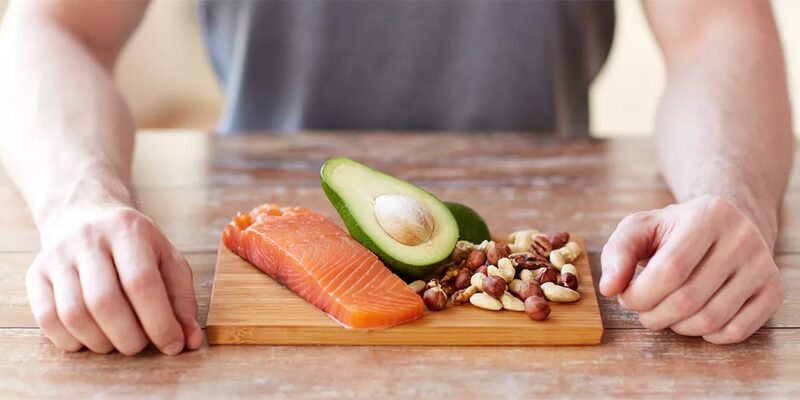 Salmon is one of the main foods you should eat for muscular gains as well as other fish and seafood. You should include plenty of lean meat as you exercise so you get the protein the body needs to grow properly. You should eat a wide range of colorful fruit and vegetables to get nutrients your body needs for heavy exercise. Vegetable like kale, cabbage, broccoli, spinach, and other green vegetables are ideal. In terms of fruit, berries are ideal for their high antioxidant properties. Try to eat a range of high carbohydrate grains like brown rice, oatmeal, and whole wheat bread as well as high carbohydrate vegetables like sweet potatoes which give your muscles the fuel they need for workouts so you don't get fatigued. Stay away from any sugar-based beverage or alcohol when training and stick to just water or plain tea and coffee. Dairy foods like milk, eggs, and yogurt can also be beneficial when weight training for their high calcium content. When learning how to strengthen your muscles you can't ignore supplements as they can help. There are several supplements for strength athletes and regular dietary supplements for strength that can be combined with a good diet and proper exercise routine to help your muscles grow which are outlined below. 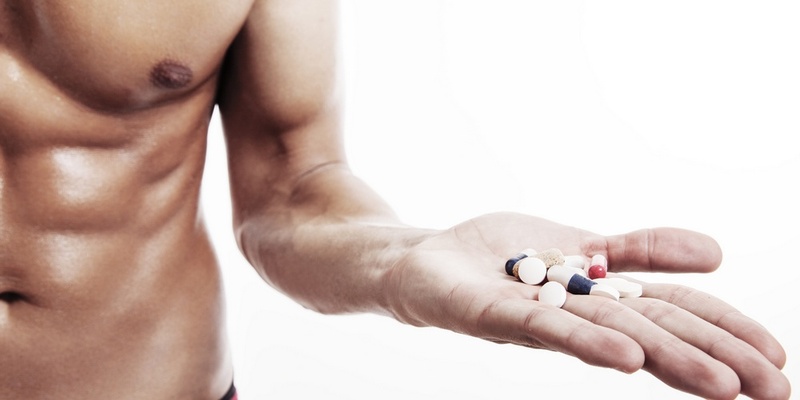 Here are some dietary supplements for strength you should consider taking. Protein powder such as whey protein is very beneficial as it can be quickly mixed and then consumed prior to a workout or afterward. You will find a wide range of protein powders on the market which can help you gain muscles. Protein bars and other protein supplements can also help but watch out for heavy processing. For vegans, you can also find vegan protein powders made from plant foods and not milk like whey is. Creatine can help you build muscles as well as help you recover after a hard workout. There are many different ones on the market that you can choose from. Caffeine supplements can be ideal as they can not only help power your workout but caffeine can help you burn fat from your body. Caffeine has been known to lower fatigue during exercise. Your muscles go through a low during heavy exercise and these acids are essential to help them grow and recover. You get these from the foods you eat but a good supplement can also help you build muscles in less time. Any supplement that will boost nitric oxide is also going to help you. These help fuel the muscles, stimulate blood flow and give them more oxygen for better performance. Fish oil gives you essential Omega 3 acids which help with muscle growth and recovery. You may not get enough of them from just eating fish. You should also take regular vitamin supplements as your body needs all the nutrition it can get for heavy exercise. Now you know the basics of how to get stronger quickly. There are supplements for strength athletes as well as other muscle and strength supplements that can help you gain muscle mass and increase muscle strength. You need a clean diet and a good routine of strength training exercises to see good gains. It will take some time to build muscles but you could see real improvements in as little as six months if you stick with it and train on a regular basis. Make sure you watch your diet to drop fat quickly to see the best results.